We’ve got a whole range of troubleshooting advice, guides to garage door parts, and DIY instructions to help you identify and isolate any problems, as well as fix your garage door opener on your own. 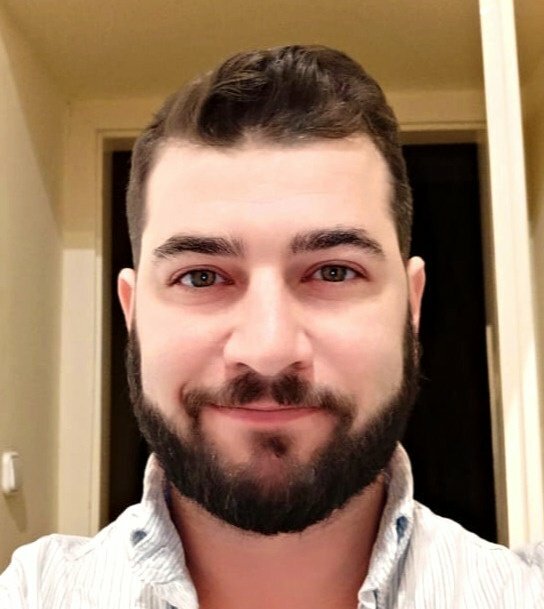 And, of course, you can book a Puls technician to come to your home within as soon as the same day to take care of all garage related issues quickly and professionally. If your machine is aging, sluggish, or your fixes just don’t seem to work, it could be time for a garage opener replacement. 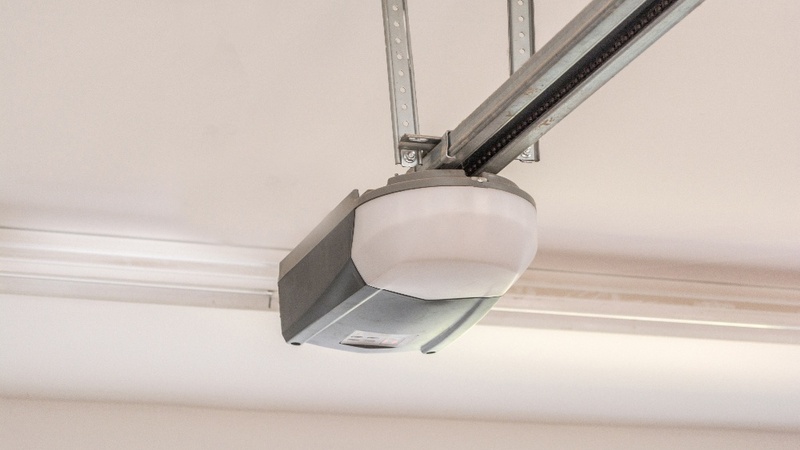 A new garage door opener can also bring with it an array of new safety features and hi-tech conveniences that your old garage door opener didn’t have. Here we’ll show you how to install your own chain-driven replacement garage door opener, offer tips, and answer a few questions along the way. You’re going to want to start with your garage door in the closed position. Shut the power to your garage through the circuit breaker, and unplug the current machine. On the back side of the motor unit, take a photo with your smartphone or label the wiring that runs from the ceiling and connects to the machine. You’ll be assembling those wires the same way in the new garage opener replacement. Unscrew the screws holding the wiring in place and simply pull the wires out. 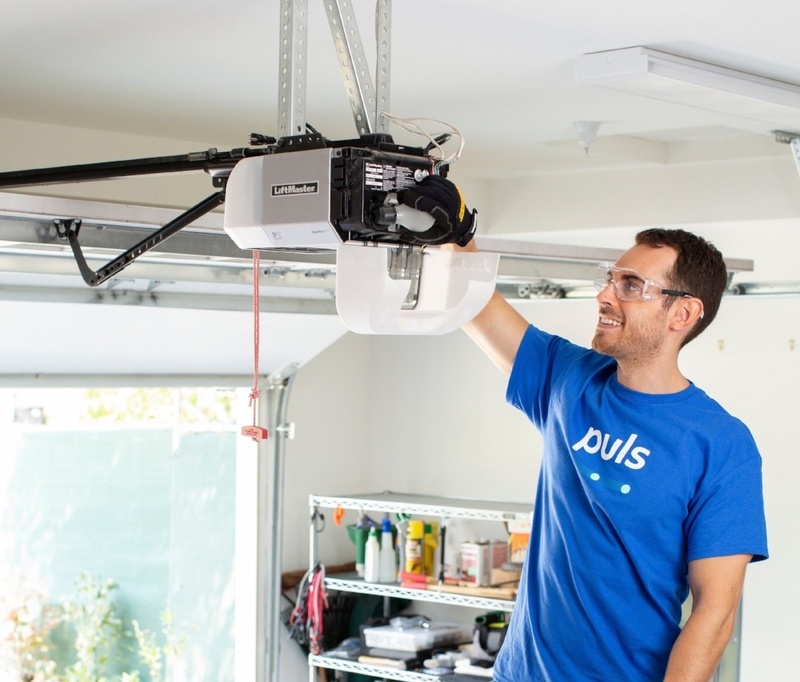 Next, you’re going to be unfastening and removing the entire garage door opener unit – but first, you’ll want to put a folding table or other supporting surface below, to place the motor unit on after you lower it down. Detach the chain from the sprocket and let it slide down the rail. Then, using a socket wrench, unbolt the bolts along the bracket holding the opener in place. Lower the opener slowly down onto the table. Using a socket wrench, unbolt the unit from the railing. 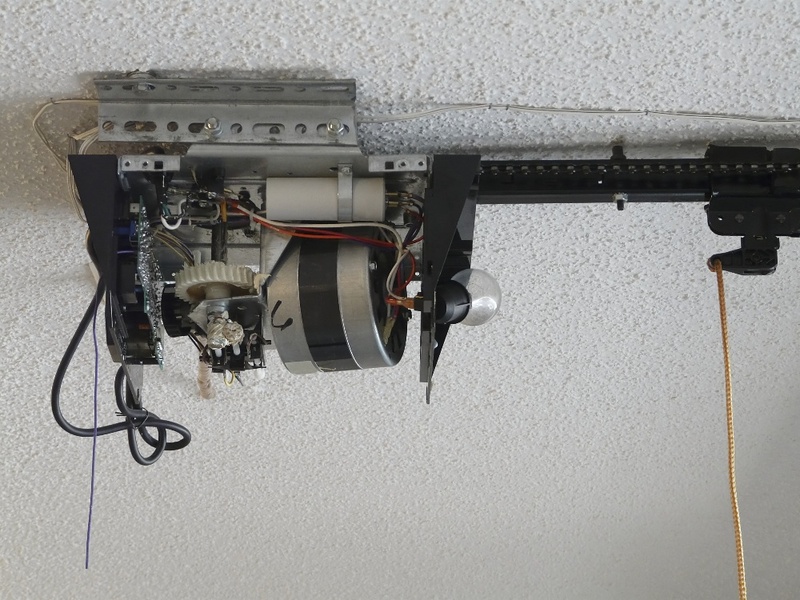 Place the new garage door opener on the table, angle it upward, and bolt it back onto the railing. You can just use your fingers to get the bolts in at first, and use the socket to tighten after the new motor unit can support itself on the rail. Raise the motor unit upward, climb up on the ladder, and, supporting it with one hand, use your other hand to slide the bolts through the bracket and into the garage door opener. Then, tighten them up. When it comes time to reattach the chain, if the chain is too tight you can go to the front of the rail, loosen the nuts on the trolley, and adjust the chain tension so that you have enough slack to loop the chain onto the sprocket. Once it’s on there, you can tighten up your chain tension again so the chain doesn’t flap loose. Once the chain is on the sprocket, adjust the open and close force, setting them to the same setting that they were on the old unit. Reconnect the wires for the sensors and remote before plugging the machine in. Try opening and closing your garage door. If it bounces back up again, odds are that the door is hanging too low or that the down limit is too high. Open the garage door, leaving it open, and see if the garage door hangs down a bit. If it does, adjust the up limit on the side of your garage door motor unit, turning rightward to increase, and then see if the garage door opens all the way. If the garage door doesn’t hang down, try decreasing the down limit slightly by turning it to the left. Make sure to test the safety sensors by tripping them as you close the garage door, seeing if it goes back up. If not, try making sure the wires are secured, or follow our sensor troubleshooting steps. 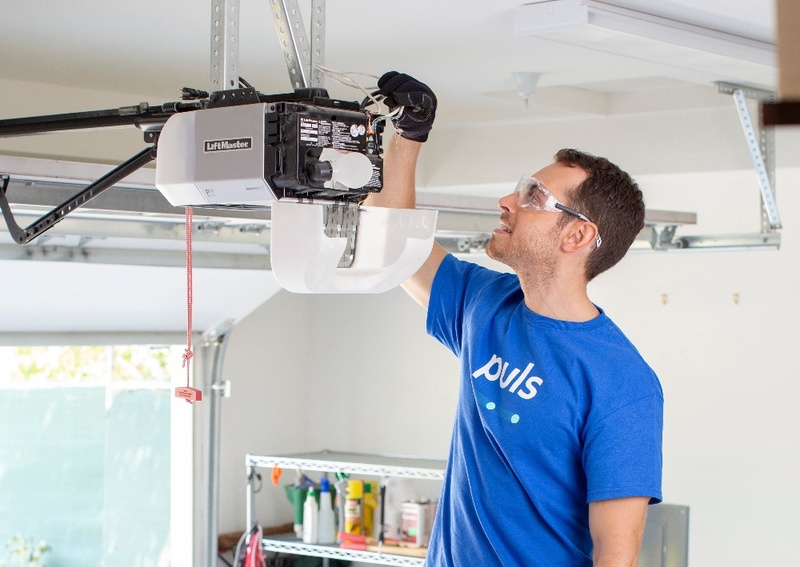 Puls can take care of installing your new garage door opener quickly and professionally, so you don’t even have to think about hopping up on that ladder. Simply head online to book a garage door opener replacement within seconds, and you can have someone at your door to install it within the same day. All of our parts and labor come backed by our 90-day guarantee, meaning that we’ll come back to you again should anything happen, for free, even long after your repair. Our skilled repair experts will bring all the necessary safety equipment, tools, and parts to you, so all you’ll have to do is sit back, relax and let us handle the rest - it’s really that easy. So, what’re you waiting for? Book a garage door replacement online to have our technicians come perform a quick and all-inclusive replacement within the same day. You can even click here to get 5% off your first service with us.